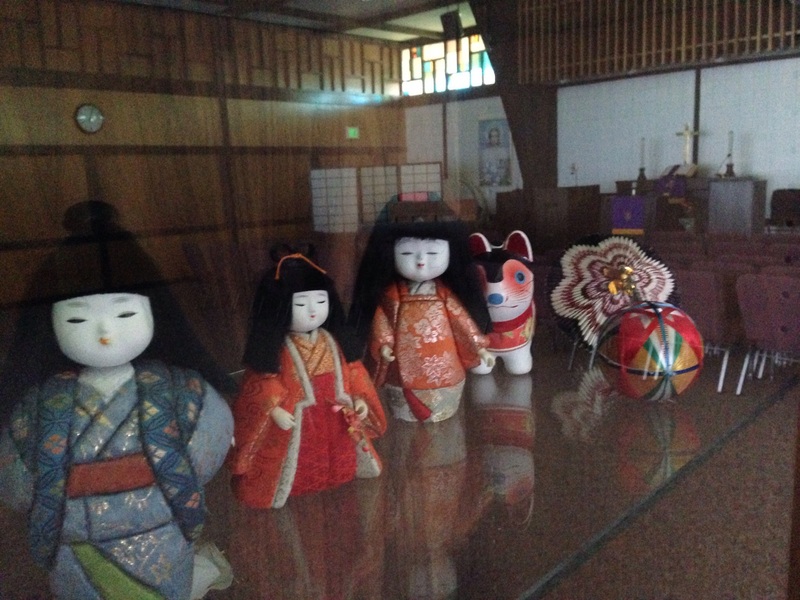 A blog exploring and learning about the Asian community in Denver. When I was much younger I tried a new Japanese restaurant in Arvada called Namiko’s for a sushi snack. It was very good. I got into a conversation with Yuri the owner and she offered me a part time job on weekends. I spent most of the first evening running to Yuri asking her what the various dishes were and what was in them and what they tasted like. In exasperation Yuri asked me if I was Japanese! She could not understand how a Japanese did not know simple restaurant fare. That is when I really understood that I was a Sansei out of touch with my culture. I am ready to experience and learn about today’s Asian culture. Please join me as I explore the rich Asian culture that is part of Denver and Colorado’s unique makeup. Please share your stories and ideas on what you’d like to hear more about, events and what is happening in Denver in the Asian community. Namiko’s has been a favorite of ours also for many years and Yuri and her daughter and son-in-law are always so welcoming and the food is outstanding. PS: Will share this blog with my friends. Thank you for including me! Paula, I’m so excited you are exploring your culture and all the exciting avenues along the way! I look forward to hearing more. Thank you michele love you for this! I can tell right off the bat I am going to enjoy myself here. Thanks for the input. I sort of got more random then I started out! But that’s what writers do isn’t it even the newbies…. Thank you so very much for your recent decision to follow Learning from Dogs! Much appreciated, Paul. Who could resist that GSD face, along with your great information? I truly appreciate that you are following along with my journey. Thank you for everything! Thank you Coach Muller. Tezenlo and I are having a lot of fun with this project and we appreciate your support. Oops, I thought you were commenting on a different post, a project I am working on with my Pastor… I am a new blogger and I should have made sure I knew what the comment was on. Thank you for posting the story of my turkey carving lessons with my Dad. I think of him every time I eat turkey! I’m not Asian, but I’m very interested in Asian culture! I look forward to reading your blog. Thank you! Its pretty random because being third generation I do what most people do. You brought me back to my original idea though, better follow up! Ha! Thanks for the smile, much needed after this long day!! Thank you for thinking of me, hope you’re having a good holiday! Your very welcome, I am having a good Holiday. However it’s folks like you that make it that much better! Happy Holidays! Fantastic. Thanks for offering to beta read for me. I would be very grateful if you would peruse whichever of the books is of interest to you and send me your comments about any changes you can suggest eg is the book too long, are the characters all the same, does the plot make sense, and most importantly is it entertaining? Could you please send me your email address via the contact page on paranorensics.com , and I will email you the pdf of either, or both books. Do you mind if I post your comments on my blog, to give others some insight into the self publishing process please? Thank you for the comment on my doodles! It’s likely that I’ll be moving back to Colorado sometime soon and I really like the focus of this blog, I might end up in Denver and so I look forward to reading more. Thanks for checking out my blog! I am looking for to more creative stuff from you! Thank you very much for liking my drawing “Crazy Neurons,” which I just posted on my blog. Thank you for finding our blog and liking us. We don’t know where Colorado is (Mom says she knows) but we sure know about food!!! I think it is great you two have your own blog and I look forward to reading your posts. Good Morning!!! I just Nominated you for and Award!!! Thanks Paula for this wonderful blog. It is so inspiring to meet people (even just on the net, through blogs) who are proud of their heritage and explore the richness of their culture. Take care and Keep Blogging…..PLEASE! Thank you for the follow in for stopping by. I’m glad you enjoyed your visit. Did you create the gorgeous artwork for your header image? I love the play of colors! Thank you, a friend of mine did that for me. I am going to start using his artwork on my blog and have one piece I am incorporating into a story I’m posting soon. He paints in many different mediums, draws using different materials and of all things has recently taken up knitting and sent me a hat in purple! I’ll let him know you enjoyed his work, he doesn’t realize how talented he is. What Fun! Thank you for pointing me to your blog. Thank you for the follow and visit! So many people talk about assimilation as if it involved only gains, no losses. I’m third generation Jewish-American (on one side; possibly fifth generation on the other, although I’m not sure). I only know a handful of Yiddish words, a bare bit of the culture my grandparents came from. The irony is that they–my grandparents–were ardent Yiddishists, dedicated to preserving the language and the culture it held. And by way of oddity, I’m now an immigrant myself, having left the U.S. to live in Britain. Nice to see someone else writing Haiku on their blog. 🙂 (Although it’s been a while since I wrote one. Thanks for stopping by my little blog Chris! Hi Paula, thanks for visiting and following my art blog! Looking forward to looking around yours! thank you Karen! I am looking forward to following you. Lynz spoke highly about you and she was right. You have a nice blog here and I will come back to read it because I love japanese traditions. Hi Paula! Thanks for liking all of my posts. Im also pretty fond of the Japanese culture and traditions. Im inspired by so many Japanese artists. Currntly I’m updating a course on drawing…do follow along if you’re interested in that kind of stuff. 🙂 I will too. Thanks for following my blog. I am also following yours and look forward to more great posts. Thank you for stopping by Stephanae!